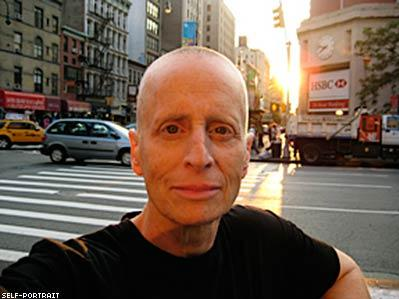 The November 17th passing of renowned social justice activist and theorist, Leslie Feinberg, comes as a tragedy for communities served by her depth of knowledge, passion for truth, and devotion to radical liberation of the oppressed. Feinberg, who believed strongly in the necessity of self-determination, identified as an “anti-racist white, working-class, secular Jewish, transgender, lesbian, female, revolutionary communist.” Her written works on the fluidity of gender, most notably the pioneering Stone Butch Blues published in 1993, and her revolutionary Marxist view of organizing for transgender liberation, remain foundational for Gender Studies and Human Rights Studies curricula across the world. Feinberg was diagnosed with Lyme disease in 2008, but sustained her political work and grassroots organizing in Syracuse, where she lived with her partner and taught at Syracuse University. When Feinberg could no longer speak, she turned to art and visual representation as a medium through which she could advocate for her beliefs. In her final years, up until the final days before her death at age 65, Feinberg blogged about the worsening of her illness as a result of healthcare disparities and inaccessibility of quality care for trans people. Feinberg’s passion and dedication to the liberation of the oppressed will be respected and remembered eternally.